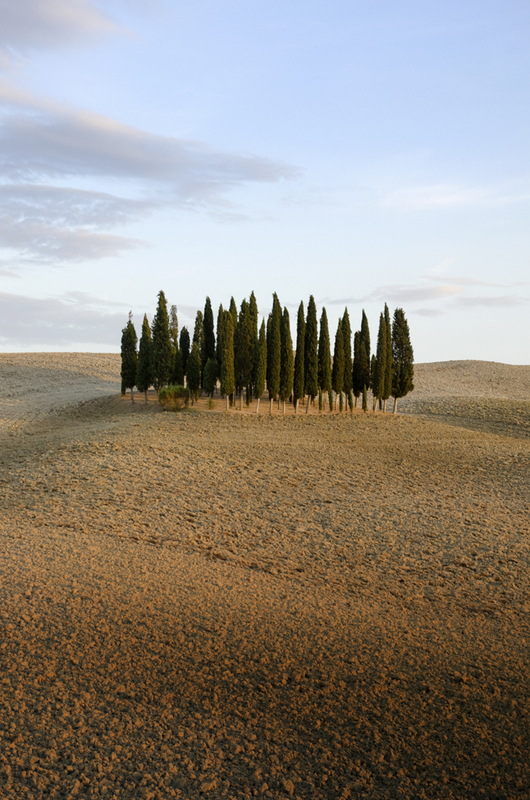 Just north of Pienza in Tuscany is a stand of Cypress trees that have been photographed more often than most others. The reason is they seem to represent Tuscany to tourists and they are visible from the main road. In each season they summarise the beauty of the region. It’s not unusual to see half a dozen cars stopped at the side of the road with the occupants out shooting the grove of trees. Interestingly very few people turn around and look the other way to a view that, in my humble opinion, is even more Tuscan. Captured here in late Autumn. We haven’t had the chance to get out and about much lately, but yesterday the whole team made the short trip to the village of Pienza about 50kms from our cottage. We had visited Pienza around 8 years ago and remember it for it’s fantastic Pecorino cheese and great views across the valley. In respect to both of these, nothing had changed. We were in for an unexpected treat as the annual Pienza “Fiera del Cacio” or “Cheese Fair” was in full swing while we were there. The highlight of the 10 day festival is later in the week when they have cheese rolling in the square. Effectively lawn bowls on a cobbled square using cheese rounds where the various contrada of Pienza compete for glory. When we arrived, the main Piazza in Pienza, Piazza Poi II was full of flag wavers and drummers performing. Following that, and slightly less spectacular, was the presentation of a painting of the Palio by a local arist and the branding of the cheeses used for the cheese rolling later in the festival. The drive to Pienza is through some of the loveliest scenery in Tuscany. Everywhere you look is another photo opportunity. One spot in particular looked familiar. It is a grove of Cypress trees standing in the middle of a paddock which has been photographed a thousand times and makes regular appearances in books about Tuscany. On the way back with the sun setting it got it’s one thousand and first photographic outing.